The three finals started off with weather that was not ideal with cold rain and strong winds. This didn’t stop the golf from being of a good standard. In the Advanced Plate Victoria Pawley played against Louisa McCartney and there was never more than 2holes in the match. Louisa eventually winning on the 17th with a score of 2/1. In the Plate competition Maisie Drewett played against Dawn Emmerson. Maisie got off to a fast start and was soon up. Dawn battled on but ultimately lost 6/5. In the Championship match the game was close in the first 18 holes with Megan taking a 2 hole lead into the second 18 holes. Danielle fought back winning the 2nd and 4th to level the match and went 1up on the 5th. Megan came back and levelled the match on the 6th. Danielle then won the 7th and Megan won the 8th levelling the match. The 9th and 10th holes were both halved as was the 11th in birdies. Megan went 1up on the 12th hole but Danielle came back on 13th to level the match. 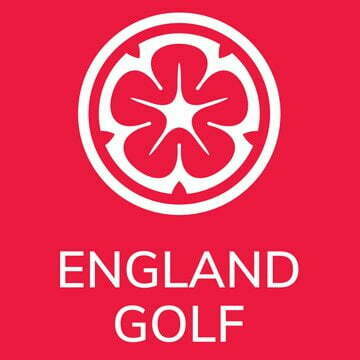 The match continued all square right up to the 18th green (36th hole) Again a half so off down the 1st hole (37th). Megan was on the green for two and Danielle off to the left of the green but made a great up and down to halve the hole. The 38th and 39th holes offered chances to both players but both were halved. The 40th hole proved to be decisive with Megan finally clinching the Championships for the second year running. 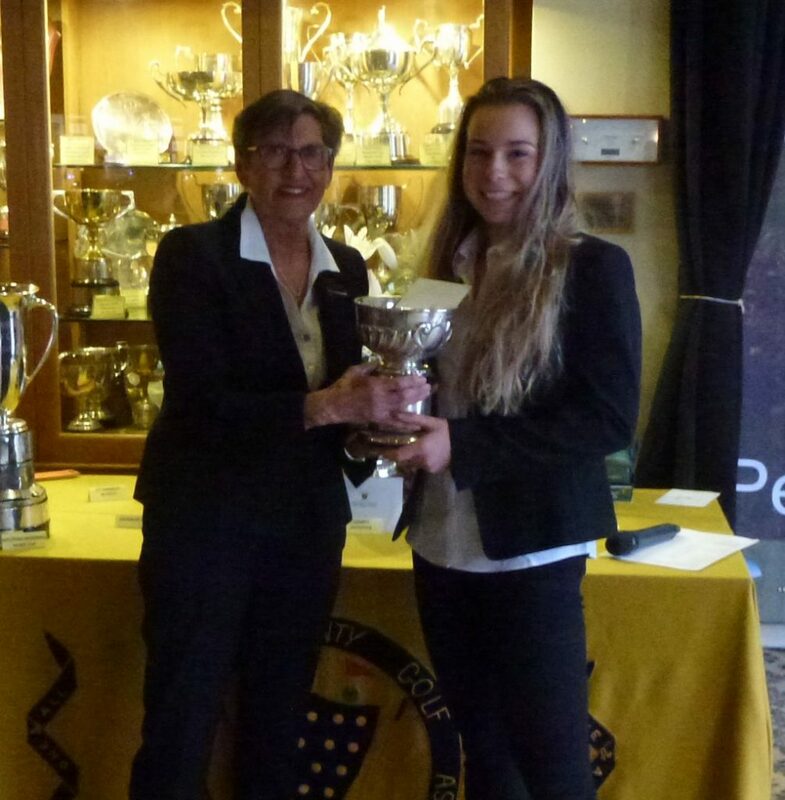 Congratulations to Megan Giles for becoming the CLCGA Champion and to Danielle Price for an epic match in very difficult conditions. 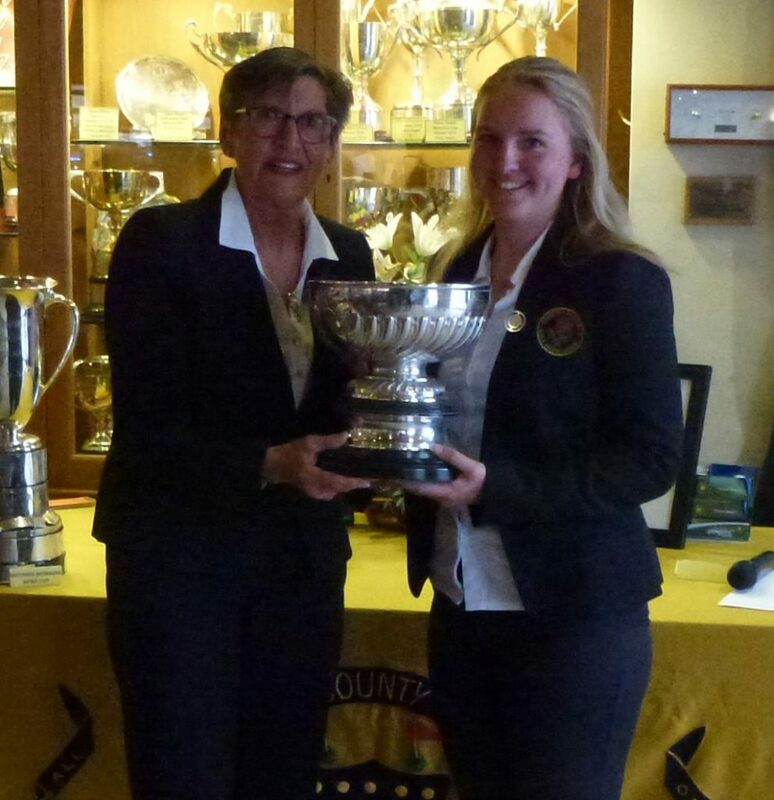 At the presentation County Captain Vicki Stevenson announced a squad of 14 players that the team of 12 will be picked from to go to Inter County Match Week at Woodbury Golf Club in July. Those named were in alphabetical order: Laura Andrew, Kira Barnes, Wendy Briggs, Megan Giles,Jan Harrison, Nikki Hodge, Cath Hopkins, Lauren Hulston, Caroline Kendall, Annie Lobb, Victoria Pawley, Danielle Price, Olivia Trewhela and Emily Toy.